Has your child got a birthday approaching soon? Why not make it a day to remember with an Excel Party? Our professional team of coaches have hosted lots of parties and events for children of all ages and abilities so you can relax and enjoy the day! Your party can be hosted at Rushcliffe, Keyworth, Bingham, Portland or Southwell Leisure Centre so you don't even have to worry about the weather! With one hour and twenty minutes of sporting fun and games for everyone to enjoy, we can ensure that YOUR CHILD has a day to remember, including a special trophy as a memento of the day. When the full-time whistle has blown, the fun moves to the party area for extra-time. The whole party will last approximately 2 hours. We supply the coach and equipment, party venue and cold party buffet. Can be held at venues including Rushcliffe Arena, Bingham or Keyworth Leisure Centres. We supply the coach, equipment, venue and trophy, you supply the food. Can be held at either Rushcliffe Arena, Bingham, Keyworth or Southwell Leisure Centres. We supply coach, equipment and trophy, you supply the venue and food. 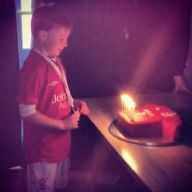 For further information or for more information on a birthday party; please fill in the form below, or email us at admin@excelsportscoaching.co.uk or call us on 0115 8320 118 and leave a voicemail. If you have already booked your party and received confirmation and wish to pay the deposit, you can do so by clicking below and following the instructions.